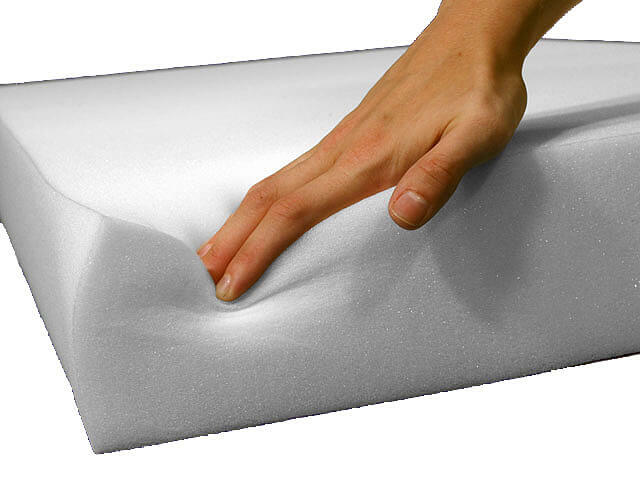 There are many different types of upholstery foam on the market. Universal Upholstering offers a selection of conventional cushion foams that stretch from the softest to the sturdiest certified materials, so customers can feel comfortable and confident bringing these quality products into their homes. We have over 25 years experience in the furniture repair and upholstery, not just selling upholstery foam, but hands on skills designing and building any kind of furniture. FOAM FOR UPHOLSTERING This is a four digit I.D. number that every foam has. For all conventional and HR foams the code represents the foam's density & firmness. The first two numbers represent its density. The second two numbers representits firmness. DENSITY. The weight of a cubic foot of foam. Although there are many other factors, density is considered to be the most important indicator of overall foamquality. 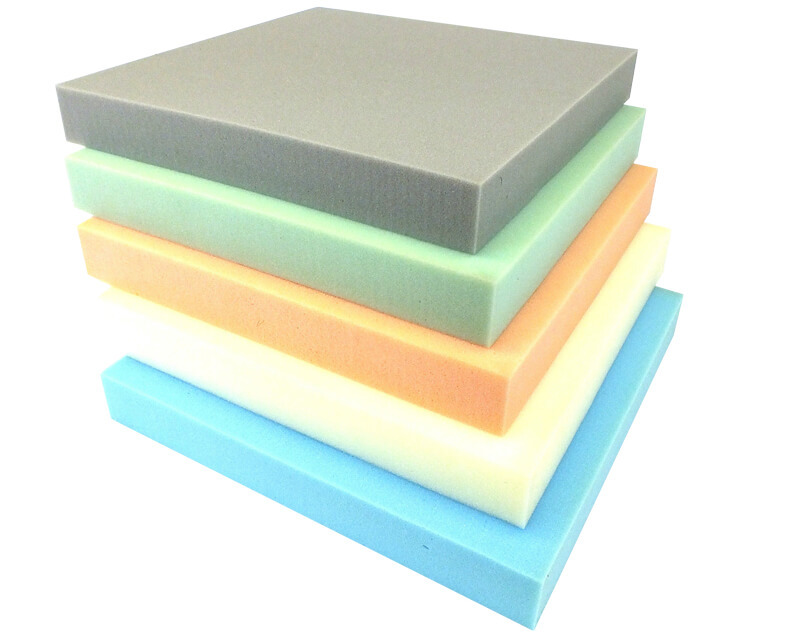 High density polyurethane is less likely to "bottom out", fatigue, or dish. 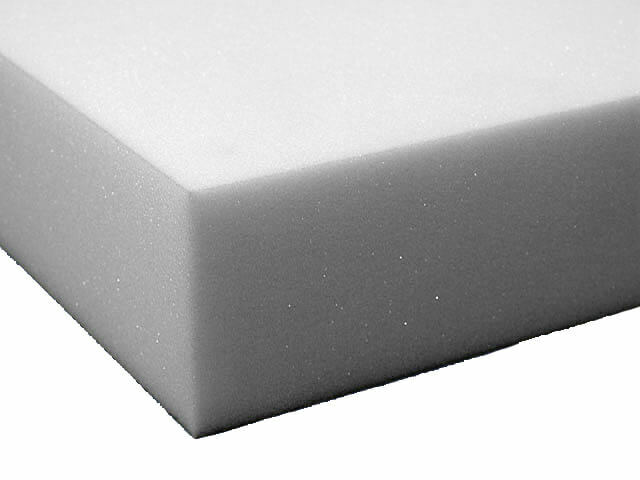 There are exceptions, but as rule of thumb, the higher the density within a given type of foam, the better the quality. The heavier, the better. FIRMNESS. 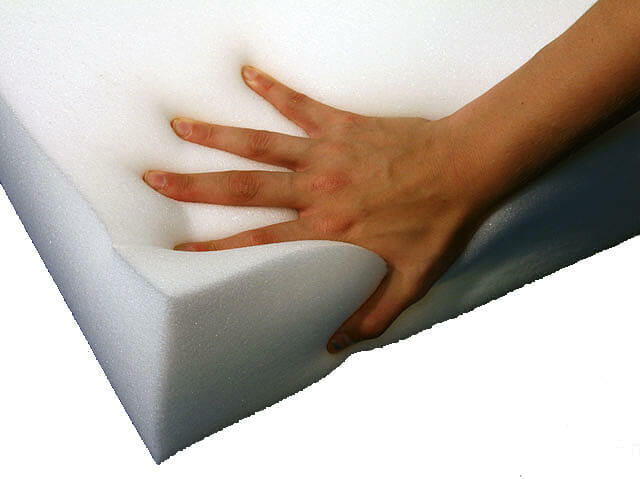 The "firmness" or "compression" of a foam normally ranges between 10 to 100. The higher the number the firmer the foam. HIGH RESILIENCY (HR). HR foams are foams made with an "HR Polyrol" that achieve high sag-factors and high rebound. HR foams have a cell structure that gets firmer faster allowing for a wide range of resistance in a foam giving you the utmost in seating comfort. Foam being thrown out with your standard trash will end up in a land fill that will take thousands of years to break down. It is important to get your scrap into the recycling process. If we can accommodate we will take back your scrap while delivering orders in our delivery area.